The northern Swan Range -- home to the Jewel Basin Hiking Area and Alpine Trail No. 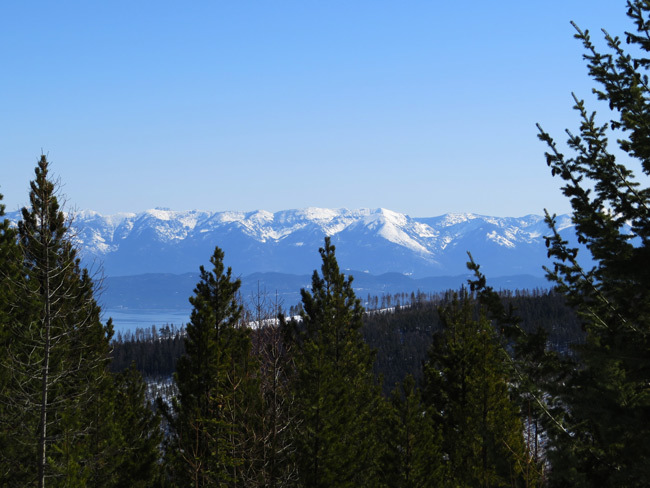 7, is the rugged backyard and scenic backdrop of the Flathead Valley. 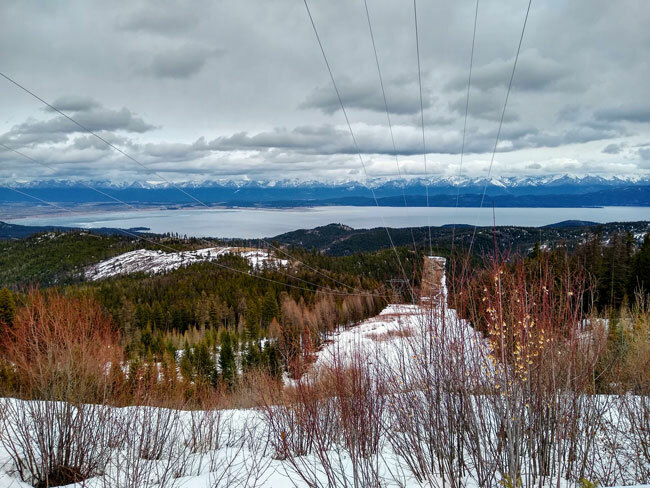 From Inspriation Pass to Columbia Mountain, the northern Swan supports our unique way of life and contributes much to the natural beauty and economic prosperity of the entire Flathead Valley. This website is dedicated to the enjoyment and appreciation of the northern Swan Range. Now is the time to act for the future of the Swan. Swan Rangers Hike Bigfork Nature Trail! 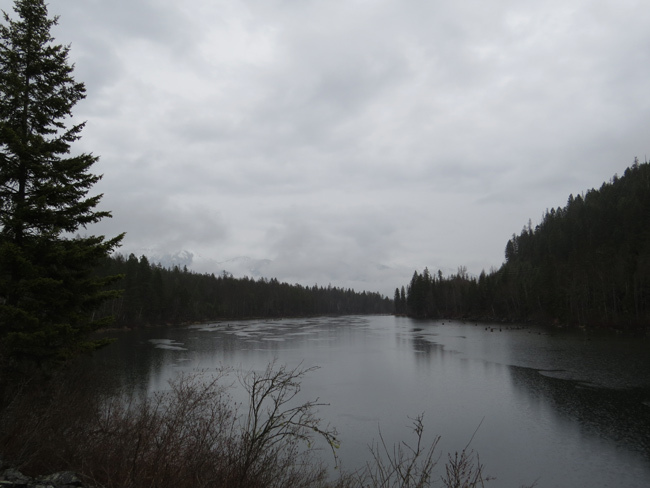 Five Swan Rangers hiked the Bigfork Nature Trail on a rainy Saturday, April 20, 2019! The Trail runs two miles upstream from Bigfork along the Swan River. Swan Rangers Hike Peters, Snowshoe Elk! 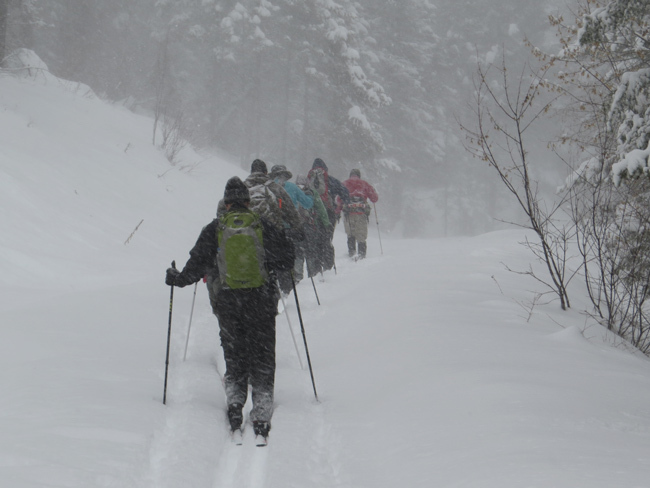 Six Swan Rangers snowshoed to Elk Springs on Saturday, April 13, though five did it vicariously while hiking the Peters Ridge Road! 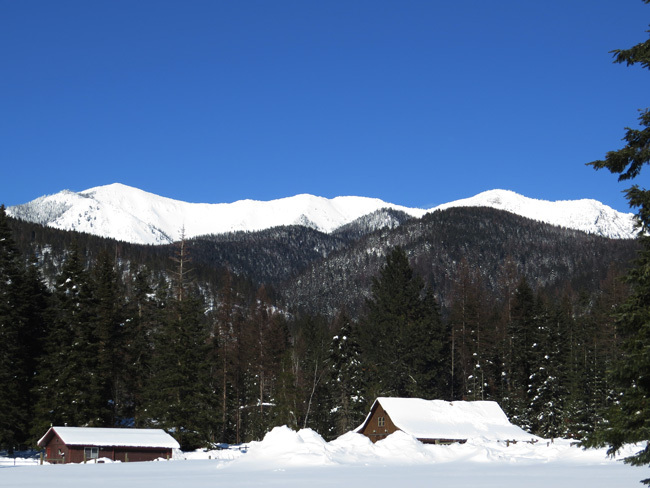 They enjoyed Elk Springs via a text message and photo sent by the lone Ranger that did snowshoe there! Swan Rangers Revisit Blacktail Trails! 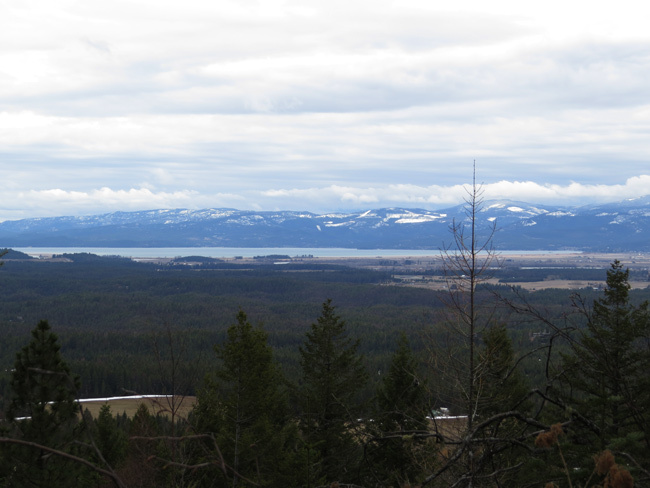 Six Swan Rangers again skied the Blacktail X-country ski trails on a threatening-sky Saturday, April 6, 2019! They skied the "power line" route in what may be their last ski of the season, but didn't get rained on! 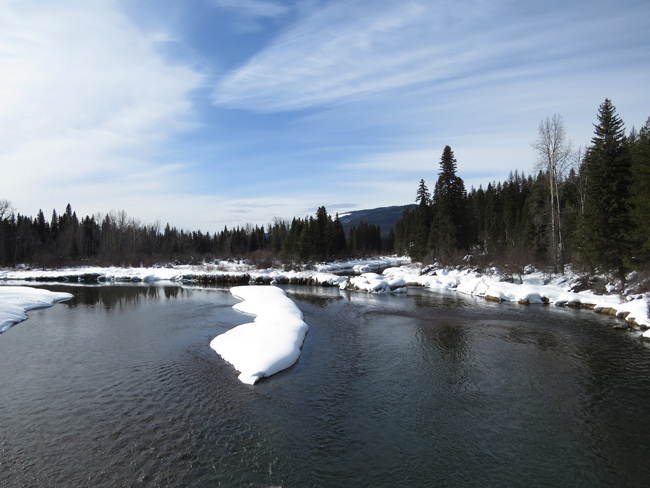 Click here for more info about North Shore Nordic's Blacktail Ski Trails. Swan Rangers Ski Blacktail Trails! 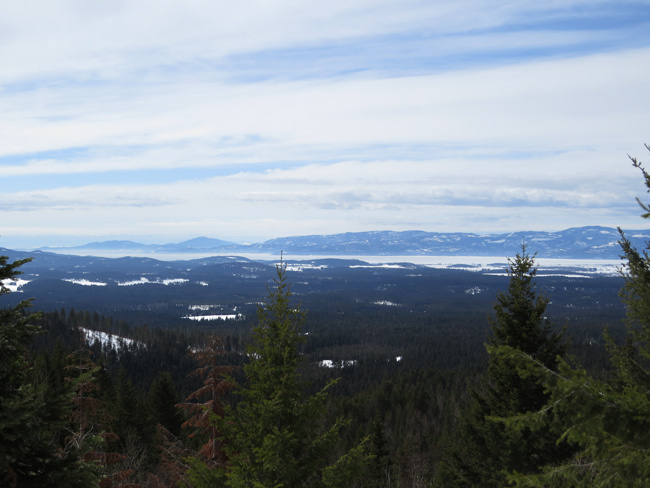 Thirteen Swan Rangers skied groomed x-country trails on Blacktail Mountain on a sunny Saturday, March 30, 2019! Snow at lower elevations is getting punky and scarce! 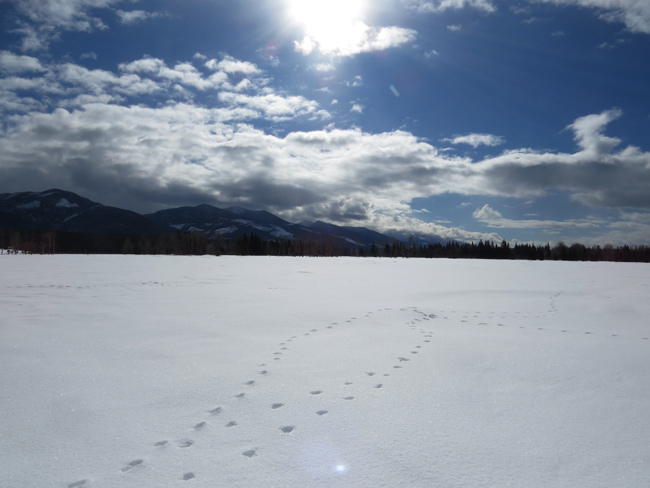 Click here for more information on North Shore Nordic's Blacktail Ski Trails! Swan Rangers in a Rut! Ten Swan Rangers skied a rutted Peters Ridge Road on a sunny Saturday, March 23, 2019! Pickups have rutted up the first 1.7 miles to the fork in the road, but the right-hand fork was then smooth sailing! Click here for a map of the Peters Ridge Road. Swan Rangers Ski Porcupine Road! Five Swan Rangers skied the Porcupine Road on a sunny, crunchy in the morning Saturday, March 16, 2019! With the spur road to Mission Lookout tore up by snow machines, they kept to the Porupine Road for four miles before turning around for a softer-snow yet pretty quick downhill return! Swan Rangers Ski Swan Wildlife Refuge! Eleven Swan Rangers skied the Swan River National Wildlife Refuge on a sometimes sunny Saturday, March 9, 2019! All but the main river was well frozen with no open leads to negotiate. Swan Rangers Skip Arctic Outing! Faced with travel advisories and another arctic front with subzero temps and wind chills, the Swan Rangers cancelled their outing for Saturday, March 2, 2019! It turned into a beautifully sunny day for folks to shovel, plow, split firewood, thaw out frozen pipes, and partake of other arctic accoutrements - but cold winds did persist just to keep it challenging! Swan Rangers Ski Peters-Krause Loop! Eight Swan Rangers skied up the Peters Ridge Road, then down the old Krause Basin Road to Foothill Road on a blizzardy Saturday, February 23, 2019! Three Swan Rangers opted for the Foothills Ski Area, where it also blew and snowed! This map will show you Peters Ridge Road 5388, but not how to loop back to Foothill Road!